Dr. Diana Cluff, known affectionately as Dr. D, is Dr. Ana Cluff’s eldest daughter, and shares the same passion for patient-centered care. 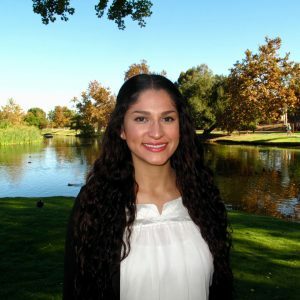 Dr. D grew up in East County San Diego, having attended West Hills High School and San Diego State University, where she earned her bachelor’s degree in biology. In order to gain more experience before earning her doctorate, Dr. D worked as a dental assistant in the practice, getting to know many of our wonderful patients, before she entered dental school. Dr. D earned her degree in dental medicine at Midwestern University, in Glendale, Arizona. In order to ensure she remains on the cutting edge of dentistry, she continues to expand her comprehensive dental skills by engaging in continuing education courses. Committed to serving her community, Dr. D has returned to her hometown to join the family practice. She strives to provide patients with gentle, compassionate care, and enjoys helping patients reach their dental goals, especially those with dental anxiety. She has engaged in outreach programs for patients in hospice, and pediatrics, as well as providing dentistry for community clinics at St. Vincent de Paul. Outside of her passion for dentistry, Dr. D enjoys cooking, road trips, and watching MMA. She is excited to be able to care for her hometown, as a healthcare professional.